Gather a few leaves and some metallic paint and bring the colors of fall indoors with warm metallic hues that add a little sparkle to your home. To make this craft you’ll need some metallic paint (I love Martha Stewart’s metallic line), leaves, neutral thread and a few paint brushes. You’ll also need a sewing machine unless you have the patience for hand sewing. Head outside and gather up a few leaves. Place the leaves between the pages of a few heavy books to flatten them out. Leave the leaves to flatten overnight. 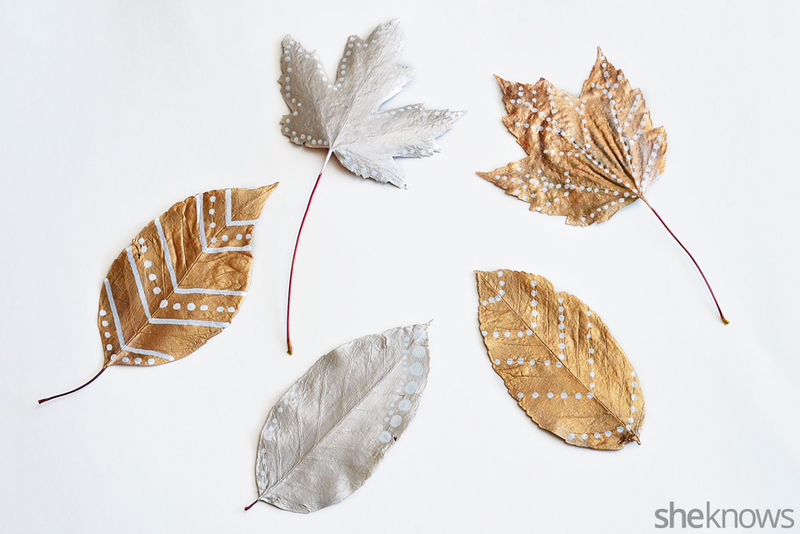 Apply a coat of metallic paint to the front and back sides of the leaves. 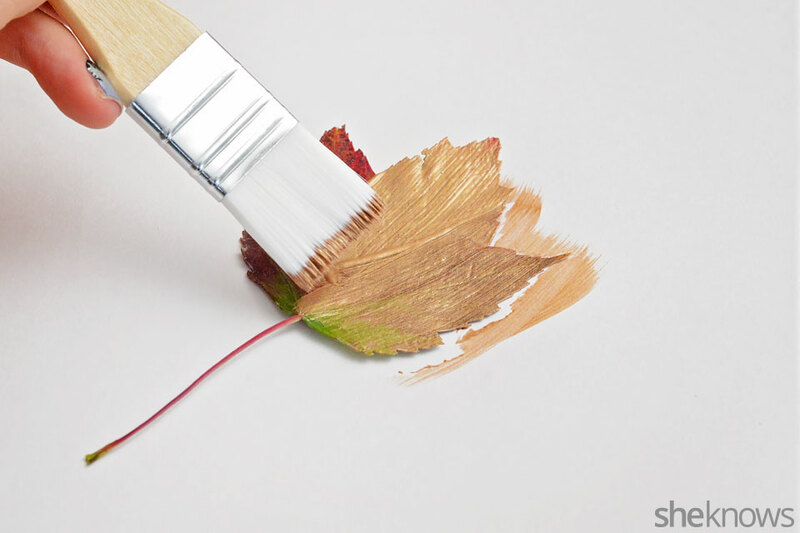 Add a second coat of paint to the leaves if needed, then set them aside to dry completely. After painting the leaves, I felt like they needed a little extra embellishment. 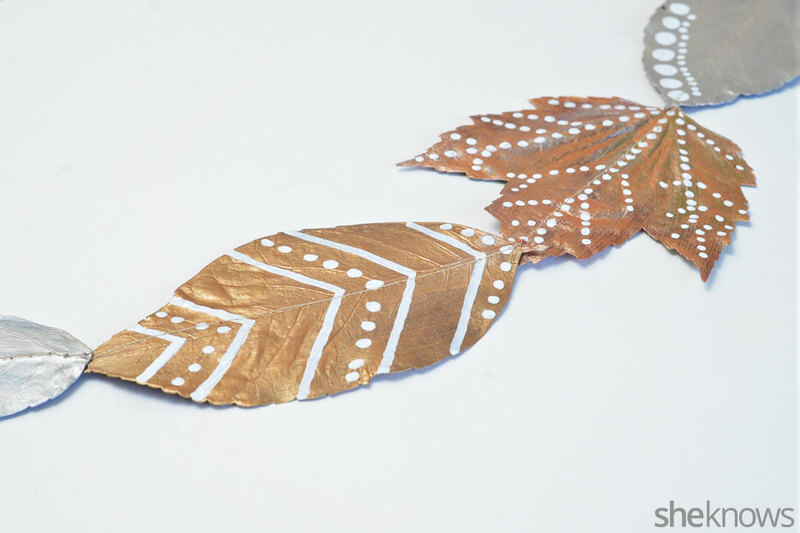 Use a paint pen to decorate the leaves with different patterns. I had fun coming up with different designs that complemented the veining of the leaves. Thread your sewing machine with a color of thread that will blend nicely with the metallic paint colors. Start feeding the leaves lengthwise through the sewing machine. I used the longest stitch length possible on my machine to minimize the number of holes being created on each leaf. Sew all of the leaves together leaving a few stitches between each leaf to allow the garland to twist and turn when you hang it. 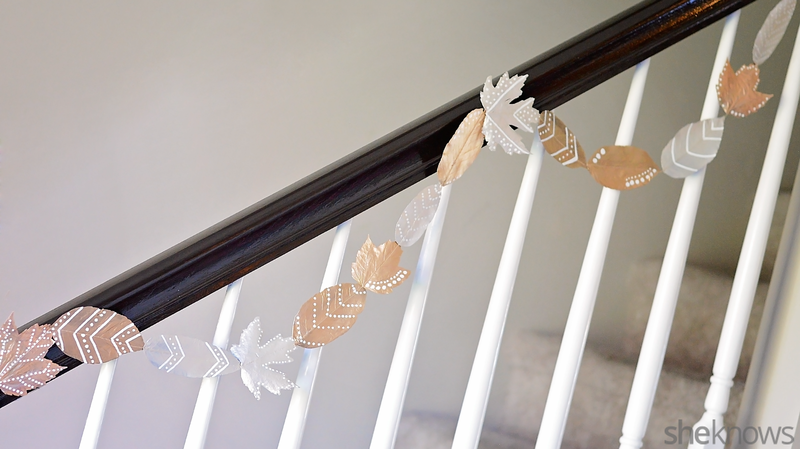 As soon as you are done sewing, your new beautiful fall garland is ready to hang in your home. 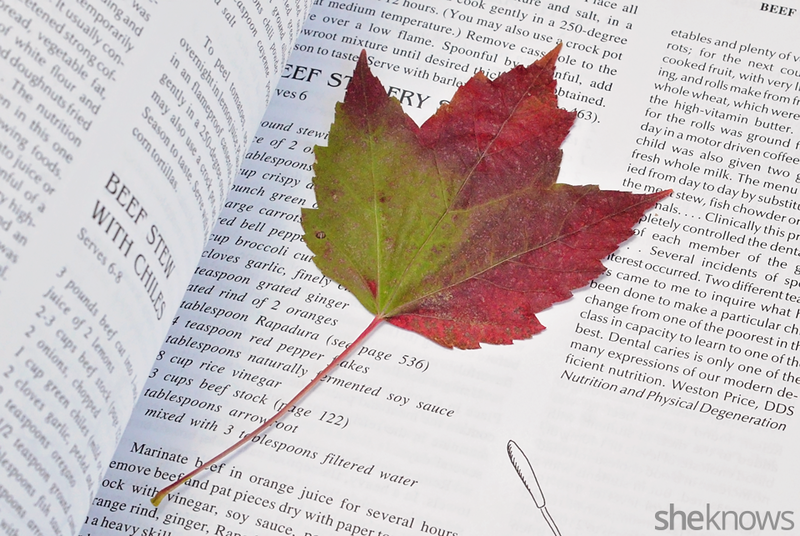 Gather some fall leaves and press them overnight between the pages of a heavy book. 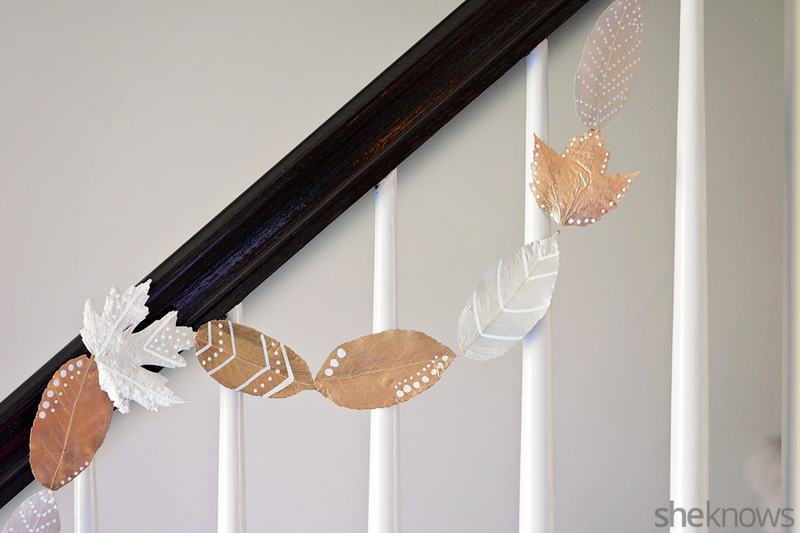 Paint the leaves with 1-2 coats of metallic paint. 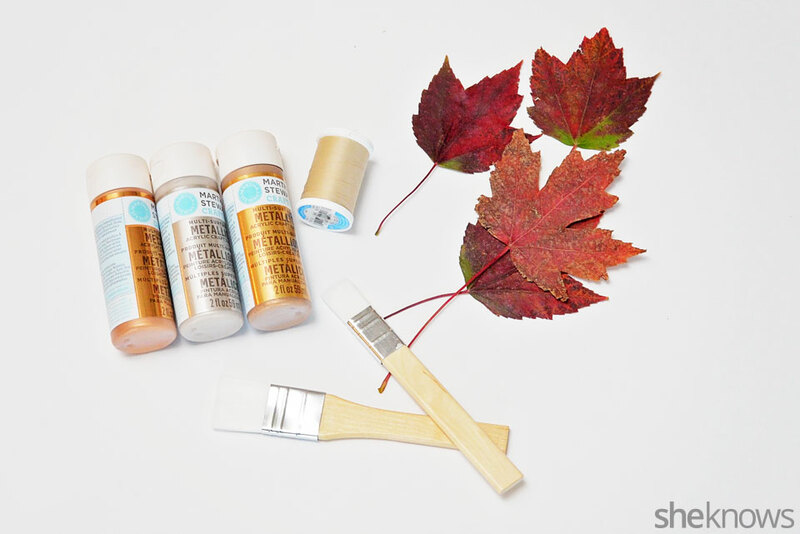 Embellish the leaves with the paint pen. 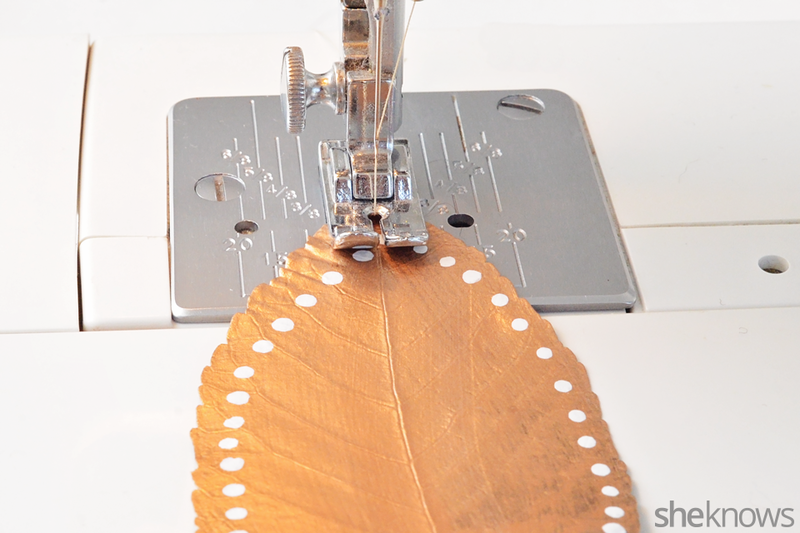 Sew the leaves together end to end by feeding them lengthwise into the sewing machine. Use a long stitch length and leave a few stitches between each leaf as you sew. Once all the leaves have been sewn together, your garland is ready to hang.